Download and read books. Increase your knowledge. PDF File Size: 7.95 MB. 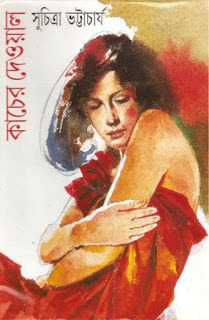 Novelist Suchitra Bhattacharya is the author of this Bangla Book Kacher Dewal. She was born in 25th Poush, 1356 Bangla (January 10, 1950) in her uncle’s house Bhagalpur, India. Her father’s house: Bohrompur, Murshidabad, India. She spent her school and college life in South Calcutta. Died in 12th May 2015 in Dhakuria, India. Another published novel of Suchitra: Ami Raikishori and Jokhon Juddho. Ruhul Amin, All rights reserved. Awesome Inc. theme. Powered by Blogger.